Thanks to the visitors who joined Mineral Technologies at its trade stand at Electra Mining in Johannesburg last week. Attracting thousands of visitors, Electra Mining proved once again why it is one of the largest mining events in Africa. Launched at Exposibram late last year and showcased in the US, Brasil and Australia over recent months, the CT Separator was on display. It gathered a lot of attention with visitors keen to learn more about its revolutionary modular design, small footprint and ability to operate more simplified concentrator plants that are capable of higher overall metallurgical performance. 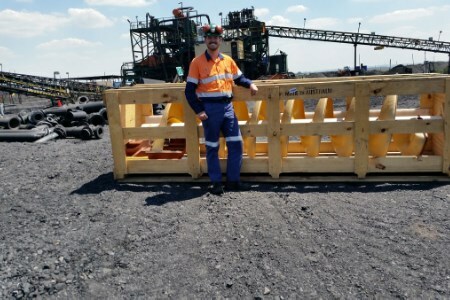 The company’s Regional Operations Manager Equipment and Technology, Edwin Phiri, reported that there was also a lot of interest in the low cut-point LC3 coal spiral. Visitors were already aware of the LC3’s superior performance in the processing of fine coal and wanted to know more about local testing and installations in Southern Africa. Phiri and the team demonstrated local test results and are currently working with a large number of interested visitors, keen to identify opportunities for LC3 applications to improve their respective coal operations. Phiri also reported that a good number of visitors showed interest in turnkey projects to process fine chrome from stockpiles. Mineral Technologies has led the way in this sector with proven delivery of chrome recovery modular plants in Southern Africa. The team is now providing interested visitors with more information, including visits to specific chrome sites to research and identify opportunities. Many visitors were interested to learn more about how the company is using wet high intensity magnetic separators (WHIMS) to beneficiate fine iron ore. Phiri reported that a number of discussions are now taking place with local iron ore producers to evaluate the potential of WHIMS in their iron ore operations.